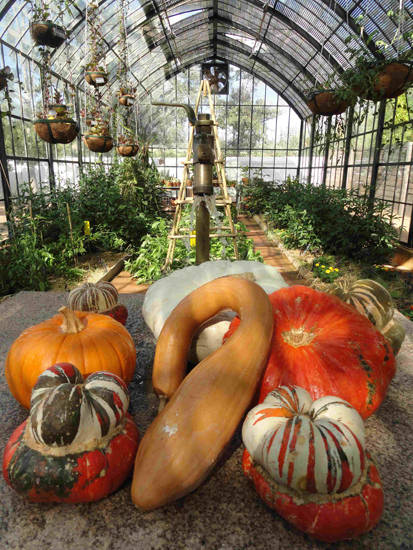 March is pumpkin month at Babylonstoren. All summer they have been growing and are now ready for the harvest. And we have such variety: Turks turbin, Gesiggies, Kromnekkies, Big moon, Halloween, Connecticut field, rooi & wit Boerpampoene, and Queensland blue. 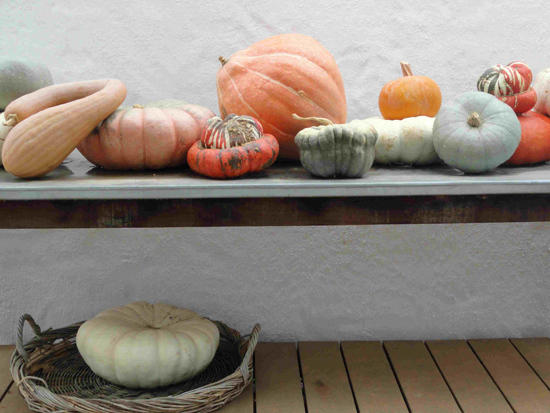 Everywhere you go – in the garden, at Babel, in the Greenhouse, the guest houses and farm shop – you’ll see all manner of pumpkin shapes, colours & tastes. We hope you’ll enjoy them as much as we are.